Hi Friends~ I made a review video for some contact lenses I bought online. 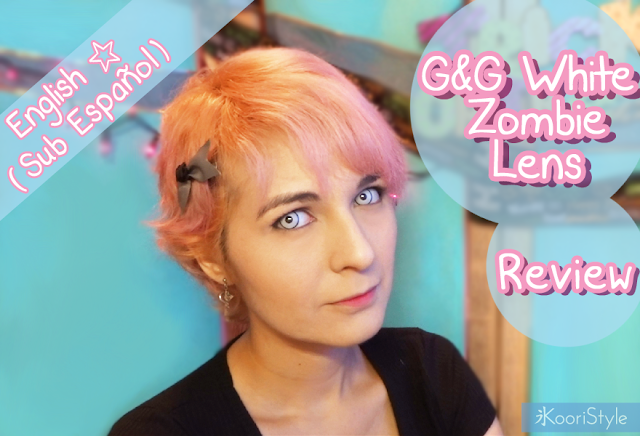 In the video I also mention some tips for using lenses and I even made some testing to show the before and after of the eye with and without the G&G White Zombie Circle Lenses (mine have prescription for astigmatism) ^.^ ♥! What do you think about these circle lenses? Remember you can check out more videos at my channel HERE. See you soon my friends, have a nice week ♥!